James E.K. Hildreth, M.D., Ph.D., welcomed Mt. Zion parishioners to Meharry Day and thanked them for their continued support of Meharry students and physicians. parishioners and Nashvillians at two Mt. Zion locations, following each of Bishop Walker’s services. 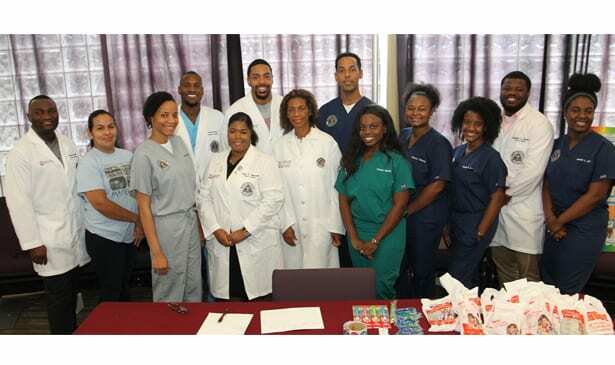 Meharry physicians and students measured blood pressure, tested glucose levels and conducted oral screenings for attendees. All medical and dental screenings were free and open to the public following Sunday’s services. The event represented Meharry’s commitment to serving its community, as well as the great community partnership that exists between Meharry and Mt. Zion. James E.K. Hildreth, M.D., Ph.D., president and CEO of Meharry Medical College, was on-site. Meharry Medical College founded in 1876, is the nation’s largest private, independent historically black academic health center dedicated solely to educating minority and other health professionals. True to its heritage, it is a United Methodist Church related institution. The College is particularly well known for its uniquely nurturing, highly effective educational programs; emerging preeminence in health disparities research; culturally sensitive, evidence-based health services and significant contribution to the diversity of the nation’s health professions workforce. Diverse Issues in Higher Education’s ranking of institutions annually lists Meharry as a leading national educator of African Americans with M.D. and D.D.S. degrees and Ph.D. degrees in the biomedical sciences. 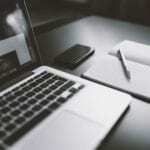 Visit www.mmc.edu to learn more. 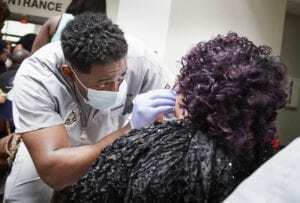 Kenneth Carter from Meharry was hard at work, providing a dental screening for a Mt. Zion parishioner. Mount Zion Baptist Church is a Word-centered ministry designed to evangelize the lost at any cost, equip and empower the people of God and provide holistic ministry to our community, as well as the world. Seeking to minister to the total person, we are a multi-ethnic, multi-cultural ministry impacting the world in which we live with the uncompromising message of Jesus Christ. Committed to the spirit of excellence, we are striving to become an oasis of hope within the Nashville community by promoting and providing education and awareness, as well as financial independence. 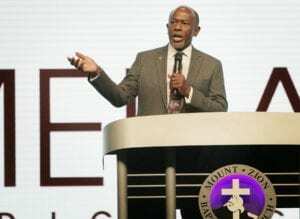 Mount Zion Baptist Church is one church located in the three locations and virtually anywhere via mtzionanywhere.org and weekly National broadcast on BET to millions around the world. To learn more about Mount Zion Baptist Church, please visit mtzionnashville.org.